In MAAS OBSERVATION Doing and Pope demonstrate their fascination in the bizarre landscape of the port of Rotterdam, a stretch of 'neo-nature' with little place for humans, where huge machines seem to move around according to a logic of their own. 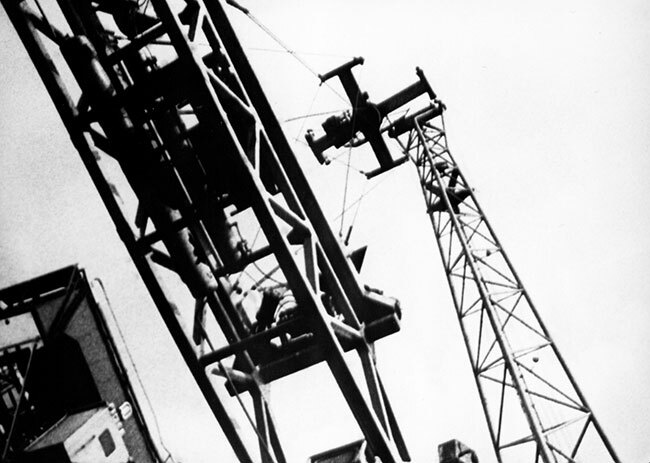 The film begins with images of windmills on the edge of the Maas plain in a montage sequence based on the steady rhythm of the rotating sails. The focus gradually shifts towards activities on the river further upstream. The montage tempo slows down as the mechanical motion gives way to the play of reflections in the water.